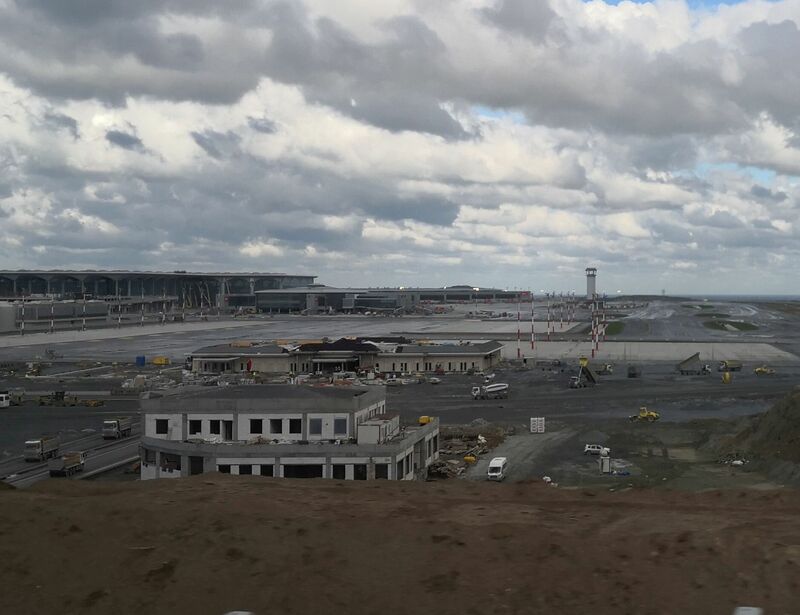 Yet to have a title (See AND FINALLY) New Istanbul International Airport (ISL) is today (29 October) due to celebrate its ‘grand opening’ by Turkish president Erdogan. See also Istanbul’s new airport takes off. In truth, despite the lavishness of the event, it will be a distinctly ‘soft’ occasion with the control tower ominously incomplete looking over a partially complete apron, gate bridges and an impressive terminal glass superstructure. Just five domestic and regional routes will operate initially from Terminal 1 (of the three terminals planned) before all international and the balance of domestic flights can be transferred from the current Atatürk Airport (IST), Istanbul’s European gateway. The airport, but not Turkish Airlines, says that the huge balance of the flights will move on 1 January, but there is still a great amount of work to be done completing the facilities, and while Turkey is for practical purposes a Moslem country (Since 1924 it has been a secular nation with NO official religion) it supports the Gregorian Calendar and the effective stoppage of construction work worldwide as the year draws to a close and 2018 becomes 2019. An airport specialist said at a preview last week that IST would be lucky to receive ‘some’ international flights by the end of January. “BA under Willie Walsh got the transfer from T4 to T5 wrong in 2008. When it came to the introduction of the new T2, Heathrow Airport Ltd opened the facility airline by airline. It worked far better. ISL would be advised to move destination by destination”. Turkey and Turkish Airlines have ambitions to be the centre of world airport transport by 2030. Atatürk Airport is already one of the busiest in Europe moving 63m passengers last year, a 5% growth and two-thirds international. Since 2013, it has ranked among the five busiest airports in Europe by passenger traffic. Turkey is the industrial powerhouse of Eastern Mediterranean, straddling Europe and Asia and with a strong taste for growth. 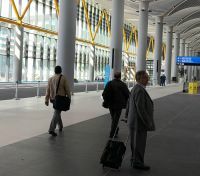 However it has struggled economically recently and the airport, slightly late in its promised opening, is symbolic of an aggressive attitude to progress. 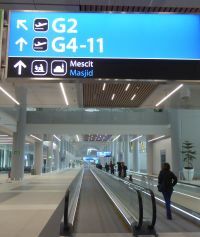 By the end of the first decade of this century, it was becoming obvious that Istanbul’s main airport, Atatürk, had reached a cul-de-sac in terms of development and while the reconstituted Sabiha Gökçen Airport (SAW) on the Asian bank of the Bosporus was taking some capacity it clearly was not the solution to the capacity problem. To put it in perspective, the two Istanbul airports handled more than 95m passengers in 2017. The six London-area airports serve more than 150m passengers a year, while the three Paris-area airports move around 100m. Turkey wants 200m passengers to transit Istanbul’s major airport by 2030, an amazing goal. North of the city was an ideal location for a new hub mainly state-owned old open-cast coal mines ripe for redevelopment and around 35km from the centre. Total cost of the whole project was put at $10bn. A new three-lane fully-lit highway has been completed and the metro is being developed to link with the present system for completion in 2020. New roads join the highway throughout its length. The masterplan for the airport was drawn up by the British company Arup with the support of an international architectural team of London-based Grimshaw, Nordic Office of Architecture and Haptic Architects, from London. After a competitive tendering programme, DHMI (General Directorate of State Airports Authority of Turkey) awarded the contract for construction and operation of Istanbul New Airport to the Cengiz-MAPA-Limak-Kolin-Kalyon Consortium. Having won the bid for the project, the consortium founded a new company under the name "IGA" with a 25yr contract beginning in October 2013. Each of the investors has an equal share of 20% in IGA. Cengiz-MAPA-Limak-Kolin-Kalyon Joint Venture operates in different industries nationwide and around the world including construction, energy, tourism, mining, port and airport management. So far, the consortium has undertaken eight airport constructions. Construction started in May 2015. Initially the scheme called for T1 and two operational runways, with a third runway competed by 2020. Particular attention has been paid to the taxiway operation in order to secure a smooth pathway for aircraft manoeuvring when on the ground. ISL wants the aircraft in and out as quickly as possible. What is seen today is a stunning example of airport design, the vaulted ceiling geometry giving a strong sense of directionality for people traversing the terminal along its length. Skylights provide natural daylight, which is diffused through the ceiling via focused beams of direct sunlight. This daylight highlights key areas in the terminal such as check-in, security, passport control and the retail environment. Passenger flow has been a particular focus, with intuitive wayfinding. Using the airport app, travellers are directed from the point of entry until boarding with location beacons following their movements and displaying guidance on a handheld device. Terminal 1 has a total passenger capacity of 90m and covers an area of 1.3m sq m (14m sq ft). There are 88 aircraft jet bridges. Speaking at a well-attended media briefing, Kadri Samsunlu, CEO of IGA Airport Operation said the national flag-carrier Turkish Airlines and IGA decided to use a so-called soft opening to identify areas "where we need to work a bit more". He said that there would be no incentives for low-cost carriers. At Sabiha Gökçen, easyJet has now pulled out leaving Pegasus as the only budget airline of any size based at the facility. Samsunlu made it very clear ISL would welcome US carriers and cited Delta as a potential prospect, the airline closing its IST route from New York a couple of years back. “We do not have any slot problems,” he said. He noted that no engineering or dedicated cargo facilities were planned at this time, referring that matter back to the airlines. What is lacking at the moment is local accommodation, with an airside offering of 214 rooms and a 200-bedroom hotel just off-site. This is likely to be taken up quickly by airlines looking for crew rest facilities. When all phases are fully operational by 2030, the airport will host about 100 airlines flying to more than 350 destinations with an annual passenger capacity up to 200m. Six runways and three terminals would have been provided. Only time will tell if all the promises will be met. 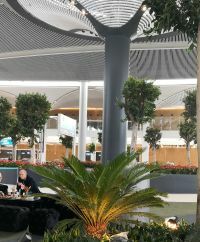 However unlike Dubai, which also has ambitious terminal plans, New Istanbul International Airport will certainly be hosting the world’s airlines in 2019. And according to president Erdogan, Atatürk will remain very active as a cargo airport. Great article, thanks! Very informative.